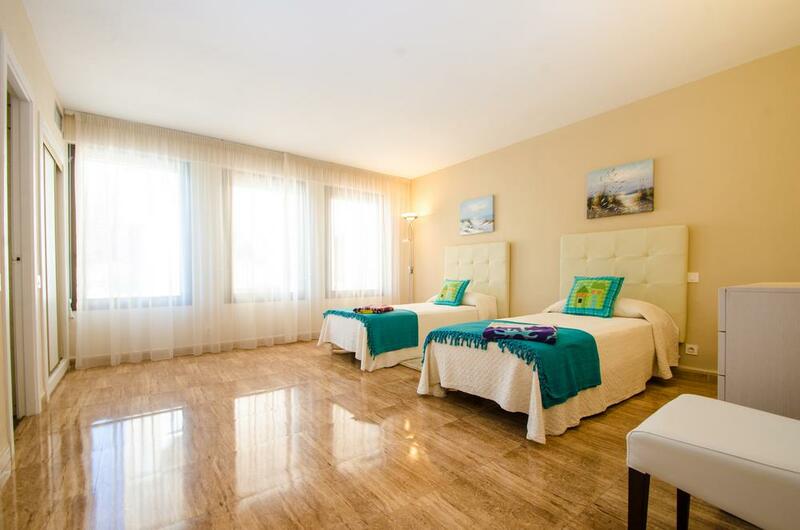 Villa Marina III is built in two levels and has 4 bedrooms two of which have access to private huge terraces and has separate service rooms. 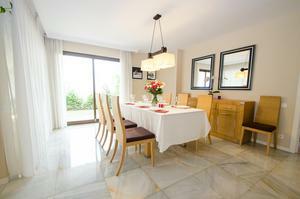 The house offers spacious living and dining rooms to spend quality time with your family and friends. 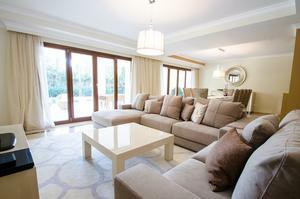 The garden is furnished and has different areas to chill, have a lovely dinner or sunbathe by the two swimming pools. 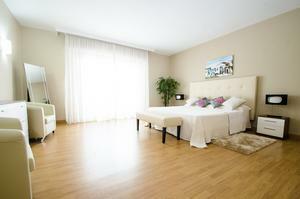 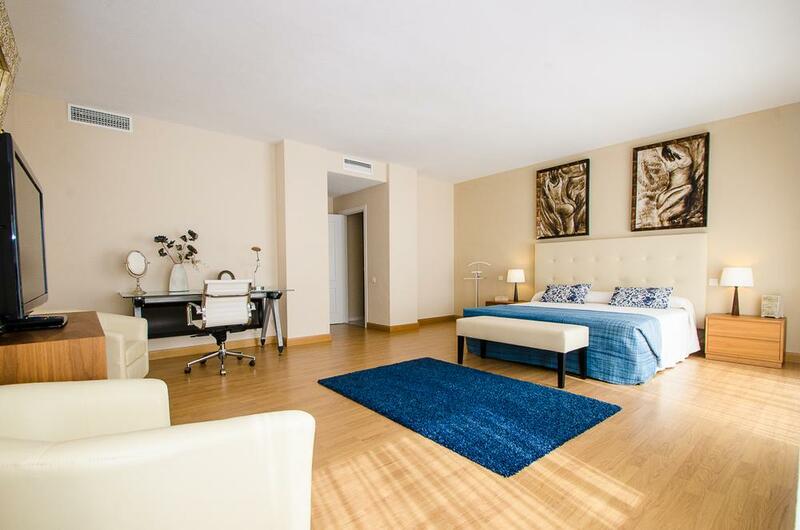 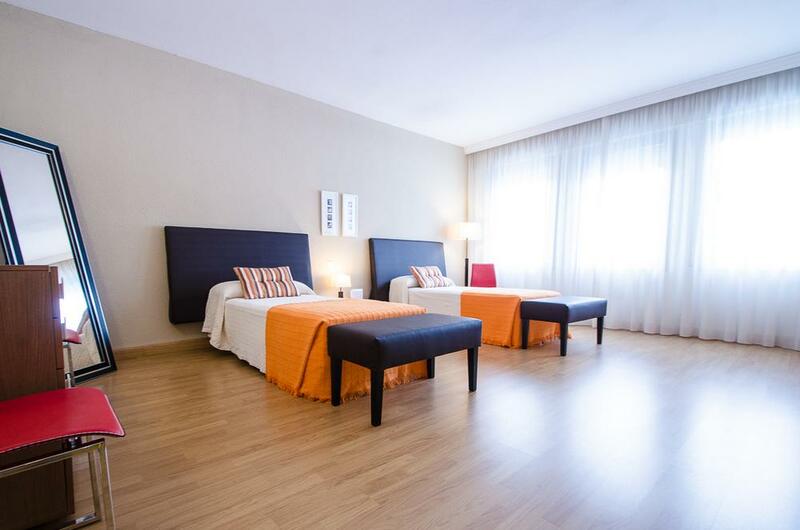 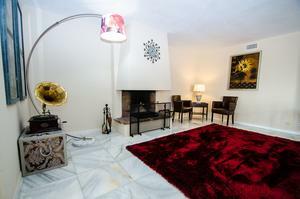 Peaceful surroundings at only 5 min walk from Puerto Banús. 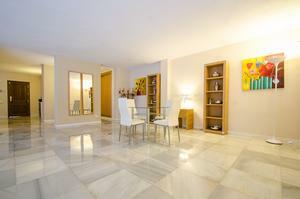 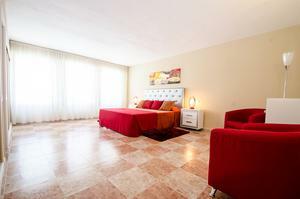 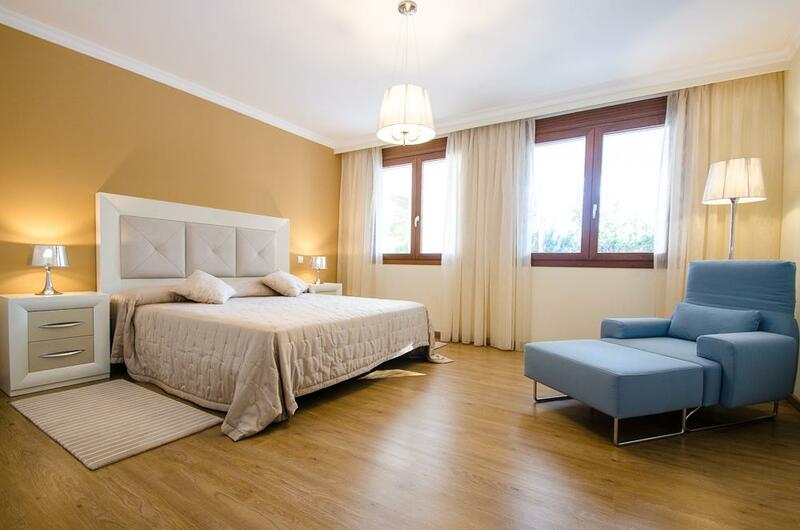 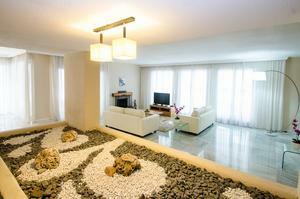 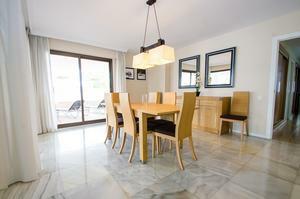 Another spacious and beautifully decorated villa part of the Villa Marina's ensemble. 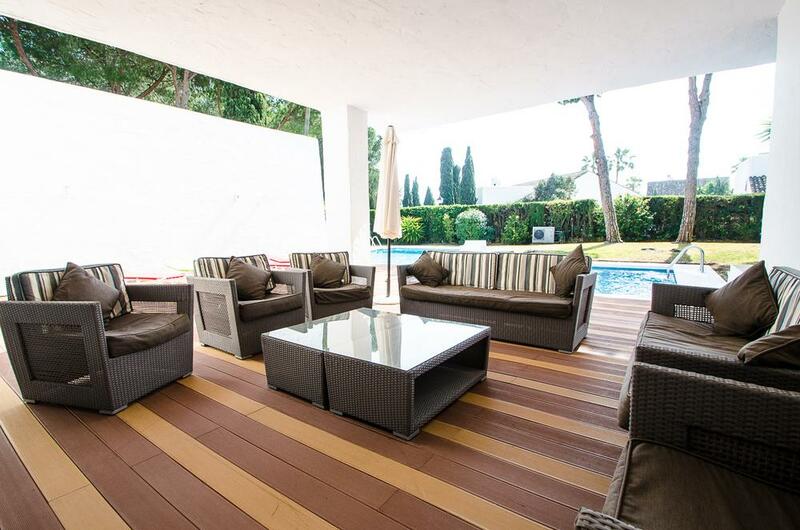 Modern high standard furniture and comfortable spaces to relax inside and outside the house. 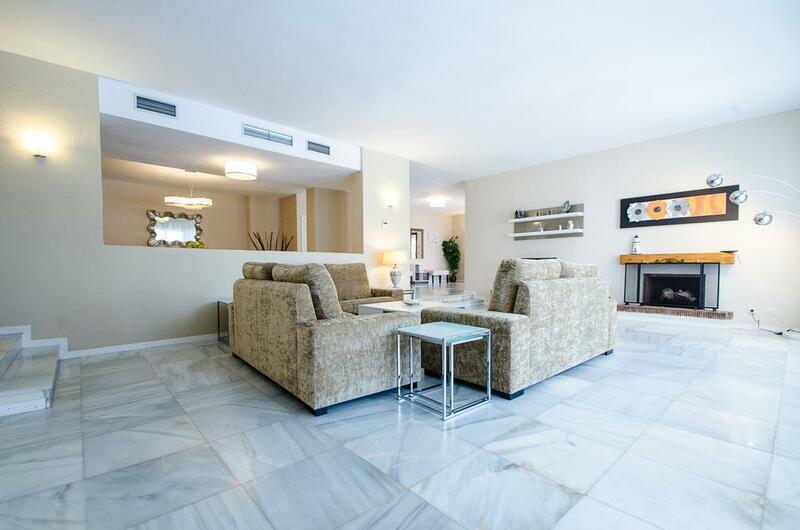 Enjoy the marble flooring, the fireplace and the huge terraces to have a nice al-fresco dinner all 5 minutes walking to Puerto Banús. 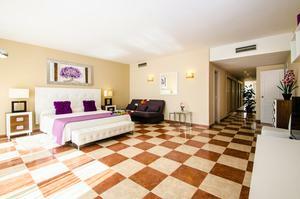 Villa Marina XVI is built in two levels and has 6 bedrooms. 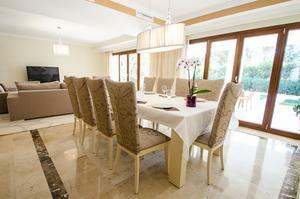 The house offers spacious living and dining rooms to spend quality time with your family and friends. 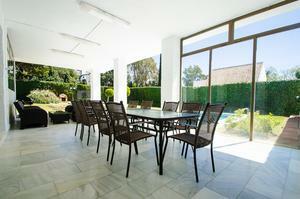 The garden is furnished and has different areas to chill, have a lovely dinner or sunbathe by the swimming pool. 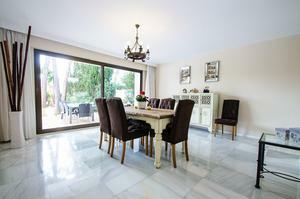 Peaceful surroundings at only 5 min walk from Puerto Banús. 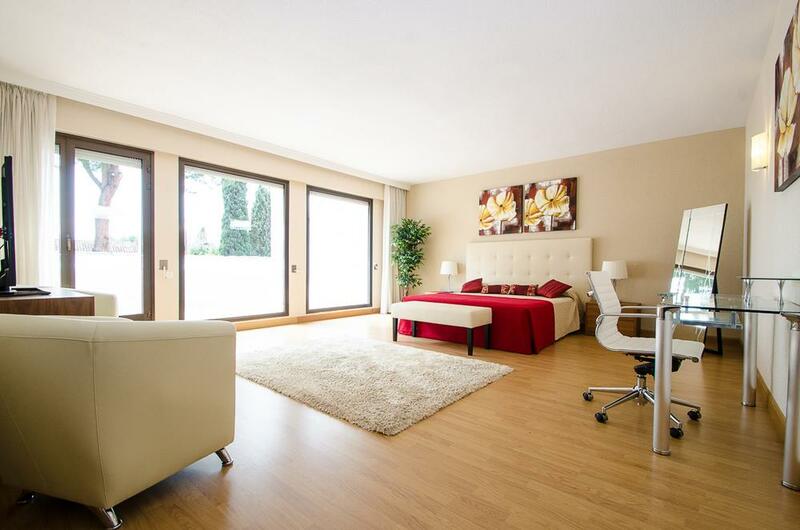 This outstanding villa in located walking distance from Puerto Banus as they are the rest of the villas in the Villa Marina complex. 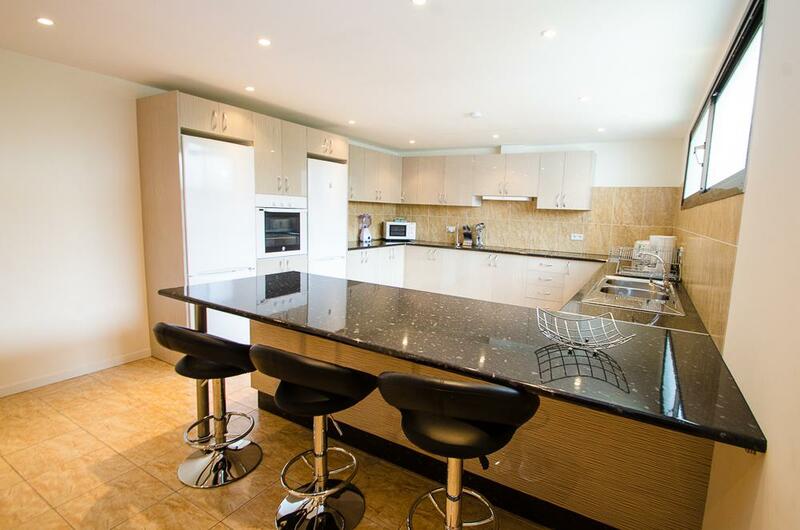 Built with the highest quality materials and stunningly decorated in an elegant contemporary style, this 6 bedrooms villa includes electrically heated swimming pools (under request), a sauna, Jacuzzi, BBQ, solarium and beautiful garden furniture to chill or have al-fresco diners in the mature gardens. 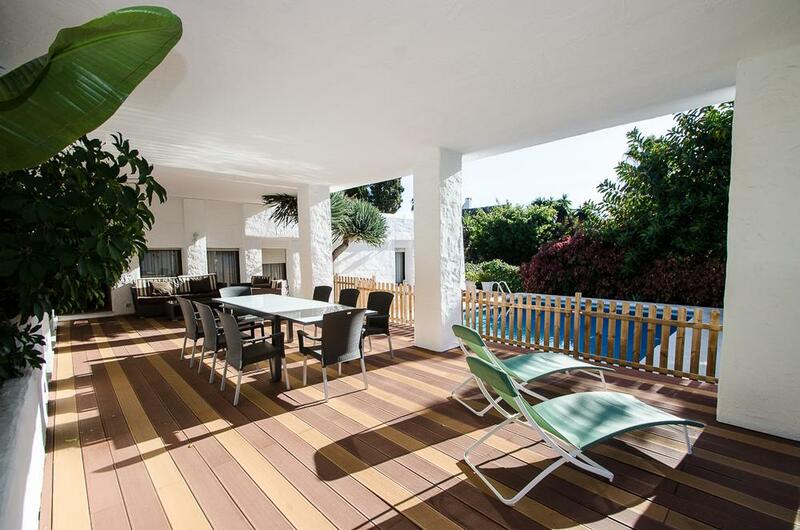 Beautiful Mediterranean villa located in the prestigious residential area of Puerto Banus, tropical gardens, and in close proximity to the sea and all the amenities. 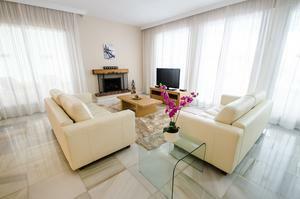 It has been designed to offer a comfortable holiday. 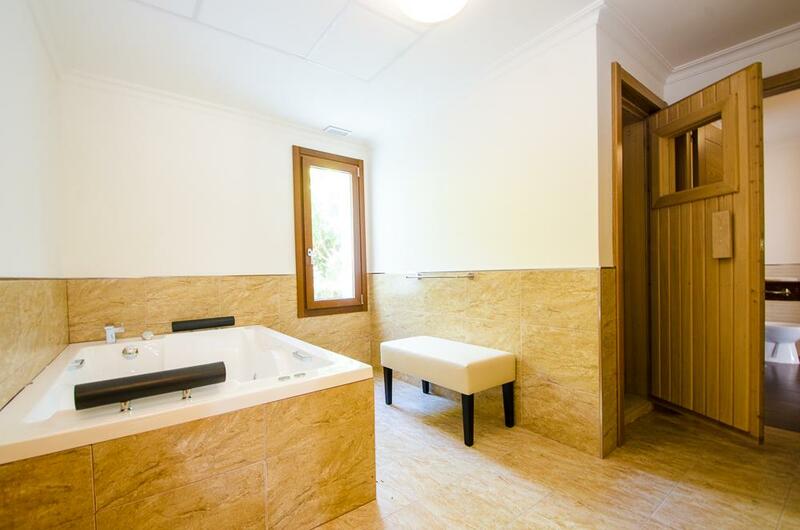 It has its own gymnasium as well as nice gardens with solarium and two swimming pools.This villa is filled with light and sun, with its large windows, light-colored walls, marble flooring and contemporary furniture.The ground floor has a spacious hall, connected to the lounge and dining room, tree of the five bedrooms, with 3 bathroom. 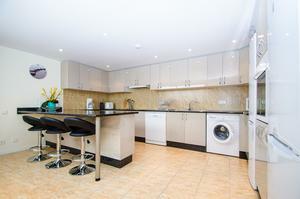 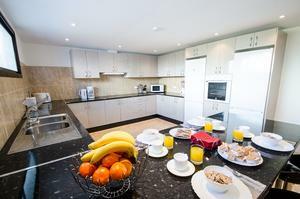 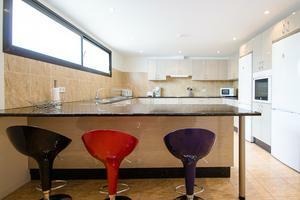 There is a well-equipped kitchen with a breakfast area. 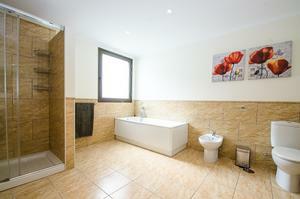 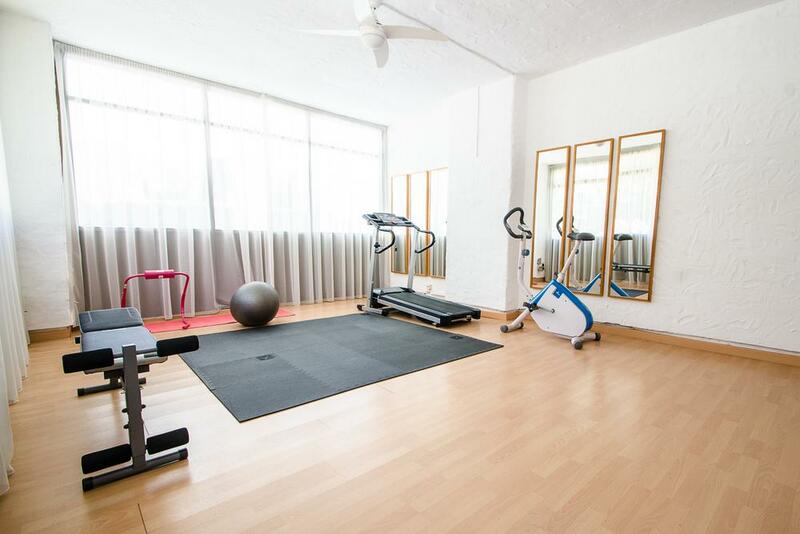 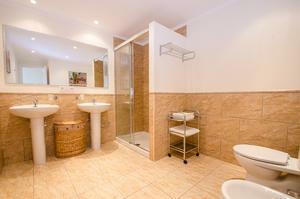 The rest of the bedrooms and bathrooms are located on the second floor. 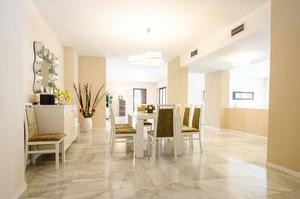 The large reception area opens out to a covered terrace and leads to mature landscaped gardens. 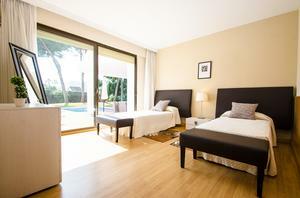 Perfect choice of accommodation for those who want a quality holiday. 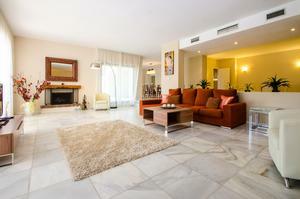 This villa is 4 bedrooms+2 service. 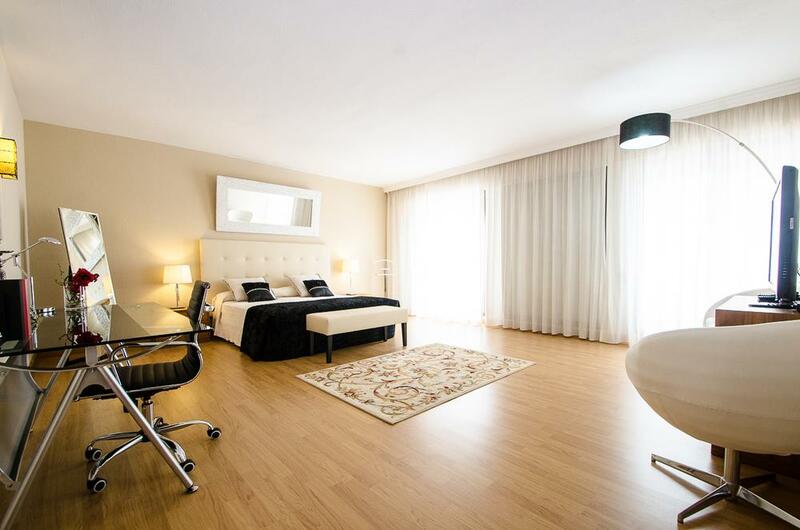 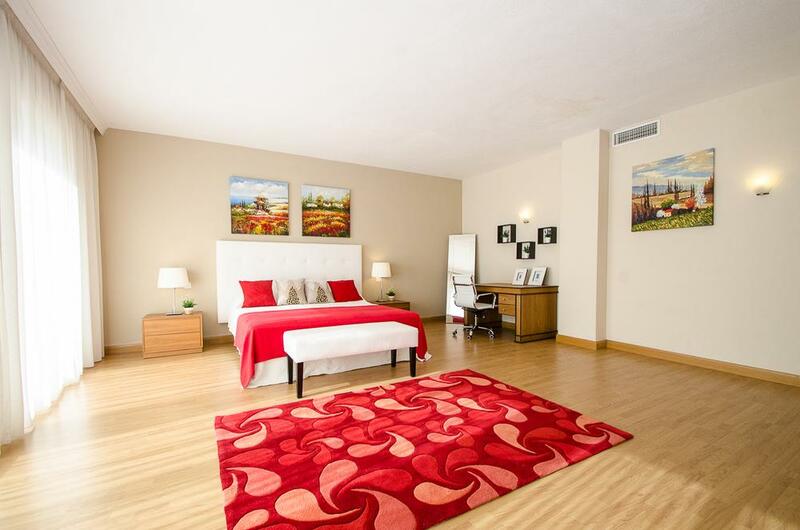 Spacious, luminous and perfectly equipped to enjoy a perfect holiday throughout the year. 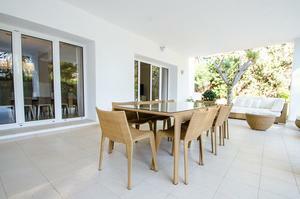 Have a beautiful dinner inside by the fireplace or set up a perfect al-fresco dinner by the pools in the summer. 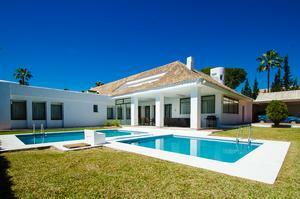 The gardens are mature and the swimming pools can be electrically heated under request at an extra cost. 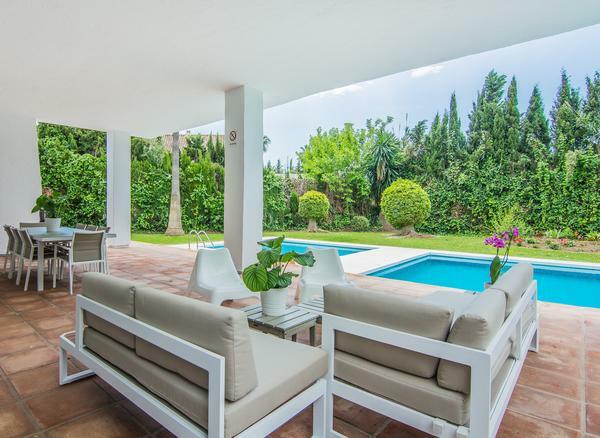 Conveniently located in the exclusive area of Nueva Andalucía, this modern and luxurious villa is just a 5 min drive from Puerto Banus and also within easy reach to beaches and other recreational areas. 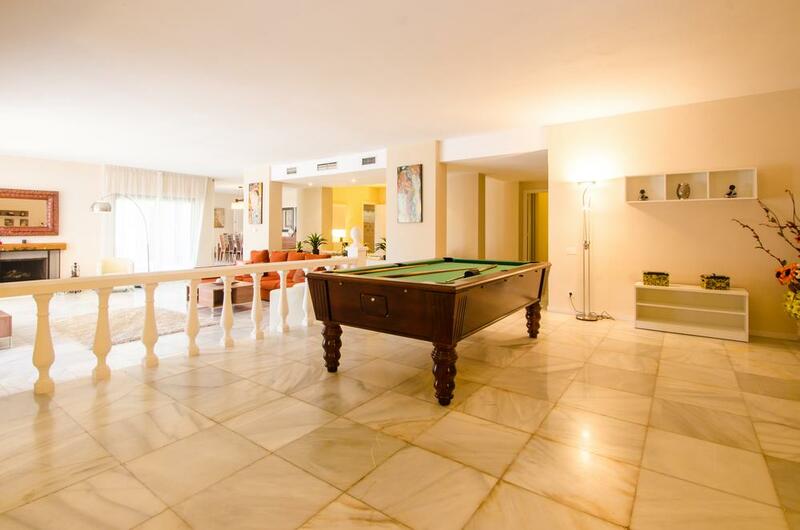 Luminous, spacious and contemporary designed Villa Blanca accommodates 16 guests and has a gym, outdoor jacuzzi with stunning views and heated swimming pool available under request.